I'm always on the lookout for new resources to make my life easier and more inspired while practicing. Recently, I've been loving a few brand new and some new-to-me resources. Right when I saw the first sample of this book, I knew I'd love it! This book thoroughly explains how to practice and develop important expressive tools, and has inspired me to think in more dimensions with an elevated focus with everything else I'm practicing. I especially love the Grounding and Repertoire sections! Available in Print and Digital Download! The 28 Day Warm Up Book for All Flautists.... eventually! If you're trying to get yourself back into shape, this is the book to do it! There are four sections, Sonority, Fingers, Articulation, and Intervals with 7 exercises in each. There's a chart at the beginning of the book showing how to divide each section over 28 days. I've been loving this book to challenge myself beyond the typical tone and technique exercises, and it's paying off! This in-depth book gave me a lot of ideas in the first few pages alone. If you're learning to apply to Alexander Technique to your playing, this book will help you develop a deeper understanding of your thoughts and self-use as a musician. 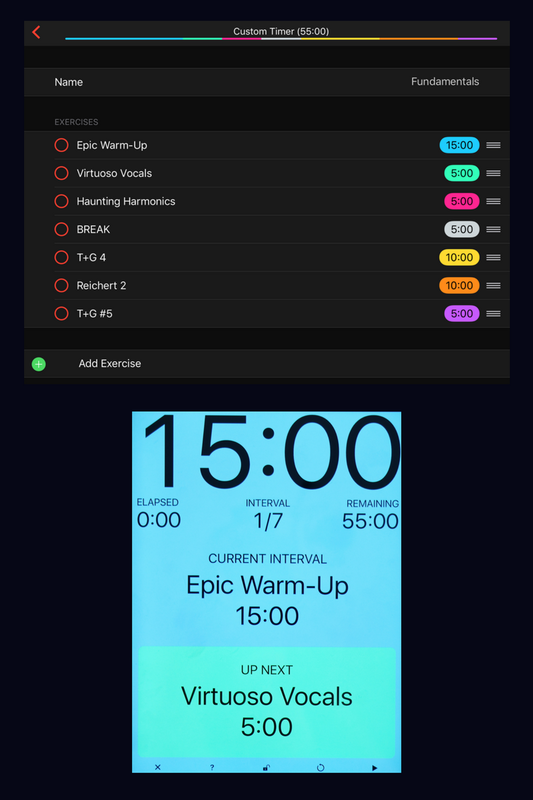 This app was introduced to me by two musicians on Instagram, and it's designed to assist with Interval workouts. If you read my "How I Practice Using the Pomodoro Technique" post, you'll know I love using a timer and dividing up my practice session into 25-minute chunks. This app lets me customize each task and duration, and will count down and lead me right into the next task. It's much easier to let go of each task and move right along into the next without dwelling or wasting time. If you need help focusing and getting through a number of tasks, give this one a try! This genius app lets you tune to the sound of real instruments! I love using a drone to work on intonation, but sometimes it's difficult to blend into the only sound offered by other apps. I like to rotate through several instruments and pitches to prepare to play in tune with a variety of instruments and ranges. (The piano option is helpful to prepare students to tune to a piano!) Plus, you can tune chords and harmonies! Thank you for coming on a tour of the flute room today! I'm beyond grateful to have a room dedicated to flute in our home, and very excited to share it with you! I've put a lot of time and energy into making this room a reflection of me and a place I love being, and it certainly is! When I first became serious about playing, I was in high school and had started taking lessons with a great teacher, Donald Zook. We were working on festival audition pieces, and one of them was Mozart's G Major Concerto! He gave me a list of flutists, orchestras, and orchestral repertoire to listen to, and stressed that listening and playing A LOT was essential for growth. I got myself a James Galway's CD of Mozart Concerti, and let me tell you, listening to James Galway helped me develop a bigger sound. I listened to that recording in the car with my mom everywhere we went. It was winter in New England at the time I was preparing for the audition, so every time I hear that concerto, I picture us in the car driving by snow-covered trees. Of course, I started adopting some of the little nuances of that recording, leaning on the same notes, attempting to open my sound and use vibrato the way he did. There were things my teacher had me change from the habits I adopted, but all-in-all, listening allowed me to create new possibilities. I tried on a sound and a style, and it helped me learn how to achieve new possibilities. To this day, I still listen to recordings for inspiration, and my tastes have continued to develop and change over time. 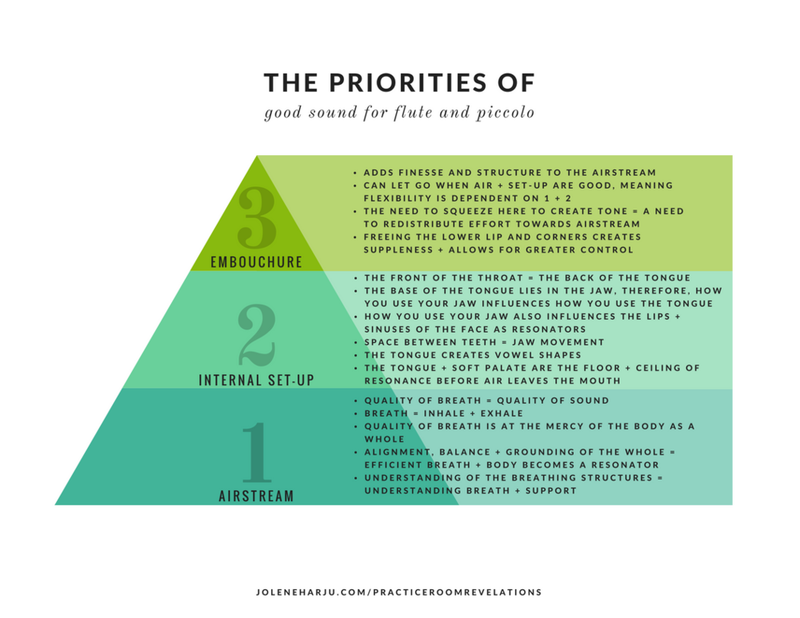 At this stage, I have a better understanding of how I want to sound as an individual, and I've been able to refine this by hearing what kind of sounds are possible as heard in others. My high school flute teacher was absolutely right to have me listen and play as much as possible, and ultimately, I developed a genuine love for the repertoire and was overjoyed to play as often as possible. 9. Alexa Still: Matthew Hindson Flute Concerto "House Music"
Schubert, Introduction and Variations on "Trockne Blumen"
Last but certainly not least, I'm grateful to have CDs from my teachers. There is nothing more heart-warming and inspiring than hearing your own teachers - I keep these CDs in my car at all times! Please share your own favorites in the comments!